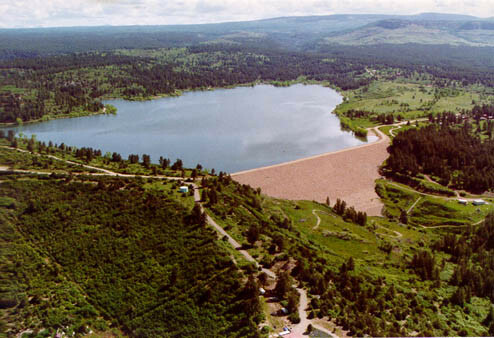 The Bureau of Reclamation is initiating negotiations on an amended repayment contract with the Mancos Water Conservancy District for the rehabilitation of the Jackson Gulch Canal System and other infrastructure. The first negotiation meeting is scheduled for Monday, November 5, 2018, at 6:00 p.m. at the Mancos Community Center, 117 North Main Street, Mancos, Colorado. The amended contract to be negotiated will provide updated terms, and further flexibility to fund rehabilitation work for the project. All negotiations are open to the public as observers, and the public will have the opportunity to ask questions and offer comments pertaining to the contract during a thirty-minute comment period following the negotiation session. The proposed contract and other pertinent documents will be available at the negotiation meeting, or can be obtained on our website at: http://www.usbr.gov/uc/wcao/index.html, under Current Focus or by contacting Marc Miller at 185 Suttle Street, Suite 2, Durango, Colorado, 81301, 970 385-6541 or mbmiller@usbr.gov.